Glass Nest is a simple piece of Glassware that lets you control your nest thermostat using a simple set of voice commands. With Glass Nest, your thermostat is only a glance away. 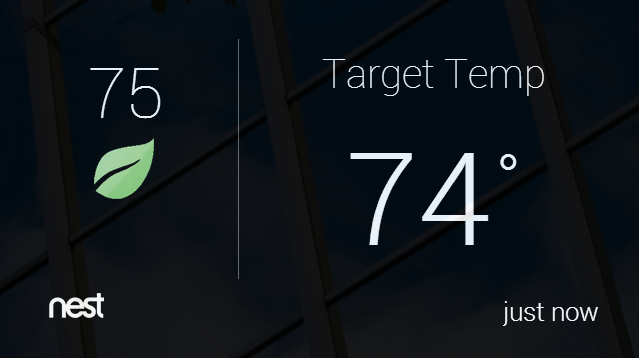 You can see the current temperature and the target temperature on google glass as your home gets heated up/down. Who created the Nest Google Glass App?